Dashboard is the kind of thing you either love or hate, using the widgets constantly or not at all. How much use you get out of Dashboard will probably determine if you want the feature to stick around in Mac OS X or not. As regular readers may recall, we have discussed how unused Dashboard widgets can take up a lot of memory and slow your systems performance on older Macs running versions of OS X prior to more modern releases with better memory management (think Leopard, not Mavericks), and we also showed you how to reclaim that memory by terminating the individual processes. But of course users can choose to go further, and this is relevant to all versions of OS X, so for those that don’t use Dashboard or its widget features at all, we’ll show you how to disable Dashboard completely (but don’t worry, it is just as easy to enable again should you change your mind). This defaults trick works in all versions of OS X that have Dashboard, including Leopard, Snow Leopard, Lion, Mountain Lion, and Mavericks. That’s it, now Dashboard is completely disabled. Hit F12 or swipe around in Mission Control or Spaces, and nothing will happen. Dashboard is completely unloaded from OS X and will no longer be a part of the Mac experience. But what if you had a change of heart and want Dashboard and your favorite widgets for conversions, weather, dictionary, web pages, sports scores, stocks, all that helpful stuff that you can get access to at the tap of a key? Getting Dashboard back in action is just as simple as turning it off, so fear not and regain the feature again. That’s all there is to it! Summon the Dashboard widgets as usual and you’ll be back to normal, good as new. If you don’t want to disable Dashboard completely, but want to regain some of the lost memory that is being hogged by open Widgets, check out this article to Free up System Memory by killing Dashboard widgets. This is less important for modern versions of OS X, but earlier versions of Mac OS can benefit greatly from limiting the amount of Dashboard widgets that are loaded or live. Mmm, works very well. Good tip, thanks. Hey, I know it’s not exactly on the same topic but did you know that Dashboard is managing a cache folder? It is possible to speed it up by wiping its cache. 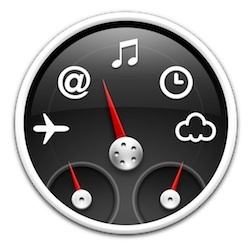 Here’s another useful article to switch off your Mac OS X dashboard, i found this very useful. Is there a way to kill the annoying preview that Leopard uses to constantly update items in the Dock? I don’t need it, don’t want it, and I know it comes at a price (memory). I’d be okay without all the flipbook fanciness in the folder previews as well. This worked quite fine, thanks! On normal use I like Dashboard, but I have created a separate user for games only. Under that gamer account on my Mac I have put the eye candy to the least, set background 50% gray, disabled all unnecessary tools&toys – and now disabled the Dashboard, too. Thanks! I never really used dashboard. Thanks, this is the third time I’ve used this page – one for each upgrade of OSX! Cheers! Thanks SO much! I’ve always hated Dashboard, and have been waiting for Apple to get rid of it. It was always popping up when I didn’t want it, while I was editing or otherwise doing something useful. Now it’s gone! YES! Finally got rid of this rubbish! I hate useless crap on laptop. Still works in OS X Mavericks! Cool! It worked for me in OS X Mavericks… Thanks!! Setting this to “Off” will disable the Dashboard. does this kill dashboard for EVERY user? I’d like to find out a way how to do this for every user, because it’s a huge resource hog on our classroom laptops. go to preferences>mission control>under the four checkboxes, there’s a drop-down menu. click it and turn dashboard off.